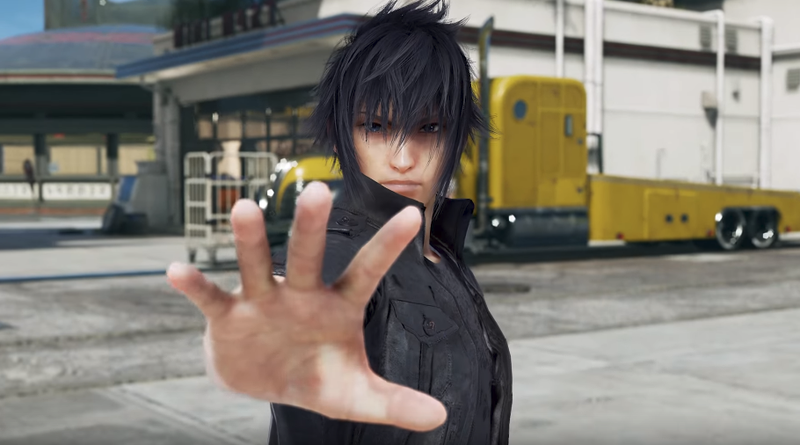 Final Fantasy’s Noctis is in Tekken 7 and, somehow, it works great. He’s a flashy, strong sword fighter who is totally true-to-form in the fighting game. When publisher Bandai Namco announced that prince Noctis would appear in Tekken 7, fans were psyched but not entirely surprised. Tekken’s World Tour was sponsored by Cup Noodles, which feature prominently in the fantasy driving/dating simulator game Final Fantasy XV. And anyway, Notcis should be everywhere, including the upcoming Super Smash Bros. on the Switch, right, Nintendo...? Noctis’ signature sword-fighting style fits in nicely with Tekken 7’s cast of heroes, a few of whom, like Yoshimitsu, wield swords. Canonically, he summons his sword from thin air, which, in Tekken, looks amazing and makes a fun shoosh sound. He’s got an ability where he throws his sword and teleports, just like in FFXV. His Rage Arts move has him teleporting all around and hitting an opponent in a flurry of rapidly changing weapons before dropping his enemy to the ground. What makes fighting-game Noctis work best, in my opinion, is how low-effort, high-reward a lot of his moves feel. In FFXV, you can just button-mash and send Noctis into an epic, multi-combo fighting frenzy. In Tekken 7, nothing could be more fitting. Beginners (or FFXV fans hoping to dip their toes in) who get a lot out of one or two-button combos will love how good Noctis’ attacks look under any circumstances. Experts will go crazy over his remarkable range. He’s not amazing in close-quarters combat, but with proper distancing, Noctis is an absolute monster. Players can download Noctis for $7.99 from the PlayStation store. Along with the Final Fantasy XV protagonist, players get the gorgeous “Hammerhead” stage, FFSV’s dusty gas station environment where Noctis’ buddies Ignis, Prompto and Gladiolus cheer him on from their sleek Regalia car. FFXV composer Yoko Shimomura’s rousing battle music plays in the background.